In October of 2009, President Obama signed an executive order that set sustainability goals for federal agencies and was focused on making improvements in their environmental, energy and economic performance. Now, all agencies in the federal government are looking for ways to meet mandates to reduce energy and that includes the US Army. 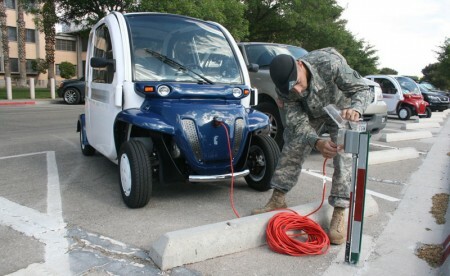 So, the Army developed the “Army Vision for Net Zero” program. Among other things, the executive order calls for new buildings to be net zero energy by 2030, and seeks a 30 percent reduction in water use and a 50 percent reduction in waste that goes to landfills. Add to that the National Defense Authorization Act, which mandates that the Army produce or acquire 25 percent of its energy from renewables by 2025 and you’ve got a pretty heavy set of deliverables for the commander in chief. Fortunately for the Army, the U.S. Department of Energy’s (DOE ) National Renewable Energy Laboratory (NREL) is going be partnering up with them to help the net zero energy program along. Though it is called a “program” the Army is treating it more like a challenge. At the Army’s request, NREL created the application for the net zero installation energy program. Army installations have nominated themselves to participate and they can choose to shoot for net zero energy, net zero water, net zero waste or all three of the goals. An NREL team is currently evaluating more than 60 applications from installations around the country. The net zero energy goal attracted the most applications with 53 installations expressing interest, 23 installations signed up for net zero water, 24 for net zero waste and 14 installations said they would go for all three. NREL says it will whittle down the list to the best candidates and provide recommendations and technical information to Army leaders so that they can make the final selections. On April 19, an announcement will be made at the Army’s Installation Symposium and Exposition identifying the five bases selected to work toward each of the goal.